Hi Fi Writer - How good is high resolution audio? High resolution digital audio -- can you tell the difference? To be fair to the CD format, it was pushing the limits of the technology available at its introduction. The maker of one of the first two CD players released effectively recognised this by limiting it to only the most significant 14 bits of resolution! Since then, a number of strategies have been employed to overcome these problems, including oversampling (using a higher sampling frequency and then mathematically deriving the signal levels for the newly invented samples from the adjacent ones) which allows a gentler filter to be used at the top end, although it adds nothing to the actual resolution. DVD finally promises, though, to break through the CD format's bottle neck. It provides sufficient capacity to hold a full CD worth and more of music at a 96kHz sampling rate and 24 bits resolution (which requires around 3.3 times more data than the CD standard). The 96kHz sampling rate means that a rather more leisurely acting filter can be applied, well clear of 20kHz. A resolution of 24 bits means that for each sample step of a CD, there are 256 steps on the DVD. So, even at -60dB, a sample step means a jump of just 0.001dB, and it's not worth counting up the decimal places to calculate the step at 0dB. The question is: is this difference audible? One of the problems with comparing formats has been the difficulty of finding comparable sources. LP was clearly LP, and not comparable to CD, if only because of surface noise. But even without such give-aways direct comparisons would be impossible. After all, how much difference in sound is due to a difference in between the frequency response characteristics of the cartridge and phono preamplifier (with its RIAA equalisation) and the CD player? Even a brand new well-pressed LP has around one per cent distortion created during manufacture. Direct comparisons are impossible. For this DVD vs CD test, though, direct comparisons are indeed possible subject to certain conditions being met. The first is that the only difference between the two formats is no more than that the formats are actually different. 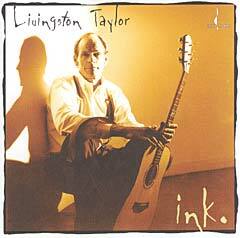 I selected the recording Ink by Livingston Taylor from the US audiophile label, Chesky (CD version; DVD version apparently no longer available). I questioned the record company about the comparability of the two formats. The original recording was made in 96/24 format, live to a two track digital recorder. Near minimalist recording techniques were used, with a stereo tube microphone used for most of the music, a single tube microphone used for Taylor's vocals, and some additional spot microphones. A valve mixing console was used to combine the signals for the two track. The DVD is a direct copy of this original two track. The CD was created by digitally down-sampling to 44.1/16. There was no limiting, compression or any other processing used, nor any changes in the transfer to CD other than the down-sampling. The next step in a comparison is to ensure that the equipment used is not imposing its own characteristics on the sound quality. One way to do this is to use just one player, swapping discs. I have found this method very unsatisfactory unless the audible differences are quite marked. For this reason I chose to conduct A/B testing by using two players, roughly synchronising playback from both sources, and then switching between the two. But this brings in the possibility of the different players stamping their marks on the sound. To reduce this as much as possible, I used two DVD players: a Philips DVD725 ($1,099) for the CD and a Pioneer DV-717 ($1,499) for the DVD. Both use dual lasers, so the laser wavelength was appropriate to the medium in both cases. In both cases, to avoid any subtle differences created by the players' analogue circuitry, I used them simply as transports, feeding their digital output primarily by electrical digital connections to a home theatre amplifier. The amplifier I selected is one that is difficult to beat: the Denon AVC-A1D home theatre amplifier ($5,999). This uses separate high quality 96/24 DACs for each of its five channels (I only used two, of course) and was perfectly happy decoding the PCM output from both the CD and DVD. I should add that the Denon is kind to CDs. It uses some processing (for the front stereo channels) which Denon calls AL24. In essence, this takes the 16 bit CD data and calculates intermediate steps to generate a bit depth of 24 bits. This lowers the height of the steps between CD samples, of course, but the since the intermediate information is calculated from what precedes and follows, it cannot fully emulate the resolution available on DVD. Nevertheless it does a good job and the processing, along with its Alpha predecessor, is well regarded. The reason for using one amplifier was to ensure that all analogue paths were identical for both formats, and in the hope that with digital feeds, the analogue output would be identical. To confirm this, and to confirm that the DVD and CD are as close to identical as Chesky advises, I recorded the first track from both discs ('Isn't She Lovely') onto my computer. I used the left and right preamplifier outputs from the Denon amplifier for the signal (the Denon wouldn't deliver to its tape outputs an analogue version of a digital input) and left the volume control on the same setting for both recordings. I recorded onto my computer at its maximum capacity (48kHz and 16 bits, slightly better than the CD standard) and was able to analyse and compare the outputs from the Denon for the two media. Any changes performed by Chesky during the down-sampling to CD standard would apparent from just a little examination of the wave forms and some basic analysis. In particular, any compression would show up as a smaller difference between the average output levels and the peaks. The wave forms superficially looked very similar. So similar as to obviate the possibility of any remixing. And what I shall call the peak range (that is, the difference between the average sound level and the highest peak) soon demonstrates whether there was any compression. There was not. In fact the decibel differences between the highest sample value and the average was identical for the two formats on the right channel and out by 0.01dB on the other (an insignificant amount likely to be caused by variations between the places on the peak curves the samples of each happen to fall). Likewise, the range between the overall average and the maximum RMS level, using a 100ms measuring window, was identical for both channels. In the absence of any marked audible difference in the mix, I am satisfied that the music is identical on the two formats, other than any effects resulting from the different sampling rates and bit depth. I should also note that the analogue output levels for the two media from the Denon amplifier were no more than 0.11dB apart from each other. For listening tests, the outputs should be identical. Conventional wisdom suggests that a difference of less than one decibel is largely inaudible. This is largely correct if one is asked to say which signal is the loudest. However smaller discrepancies can produce a subjective effect of making the louder signal sound 'better'. I was not equipped to adjust the signals by such a small amount, unfortunately. However as it turns out, it was the CD which was a touch louder than the DVD, so any bias caused by the slightly different levels should be in favour of the CD. Also, over the four and a half minutes of the song, the CD came in at 0.003 seconds longer. This is most likely due to slight differences between the clocking crystals of the two players and at 0.001% is totally inaudible. The other reason for copying the analogue outputs to my computer was to see if there was any measurable difference between the two media. I was somewhat surprised to see that there were. My surprise was due to the basic inadequacy of using my computer as the test instrument. It tends to suffer from fairly high noise levels in the sound card and I was, after all, using little better than a CD standard digitisation process. The main differences concerned low level noise and high frequency performance. While the gap between the average level and the RMS maximum and peak levels were consistent between the two, the gaps between the average and the minimum RMS levels were not. Indeed, the DVD scored a 1.08dB greater range than the CD on the both channels. This reflects the lower noise levels on the DVD format. Had my computer lower noise levels itself, this difference would have been greater, reflecting the ability, with the greater bit depth, of abandoning dither noise, or at least reducing its level considerably. More interesting was to analyse the frequency spectrum from both signal sources. These were for all purposes identical from the bottom up to around 17,000 hertz. The DVD's trace (Fig 1) for this track then continued on its gentle decline (almost all music exhibits an average output level falling by around 9dB per octave from 100 or 200 hertz to the limits of the upper frequency response, which is why tweeters can get by with such small voice coils), steepening a little after 22,500 hertz (most likely due to my sound card). However, the CD version (Fig 2) showed an actual increase in high frequency output, reaching a 4dB boost by 21,000 hertz, and a rapid fall-off beyond that point. Okay, the drop above 21,000 hertz can be expected for CD with its much lower sampling frequency, but what about the rise? I speculate that this is the result of dither noise in the CD, designed to mask quantisation noise in low level signals. Zooming in closely on a low level wave, such as the fade out section of the track, shows something else of interest. The CD version (Fig 3) shows much wilder variation than the DVD (Fig 4) in the wave form, oscillating above and below the basic trend of the wave quite markedly. Admittedly the extent of the oscillations are around 25 quantisation steps out of the 65,000+ the CD format offers, but it would suggest the masking of low level information. It is likely to be these oscillations that show up in the high frequency boost in the spectrum analysis. Well, enough of that. How did the DVD sound compared with the CD? First, my preconceptions: I was inclined to think that there would be no audible differences between the two media. For me at least. On the other hand, I earnestly hoped that I would hear some difference between the media. Failing to do so tends to put one's credibility as a writer on such matters on the line. So to the extent that our subjective impressions are influenced by our expectations and hopes, I think I was fairly balanced. I set myself up in my office after midnight, lights switched off, computer off, no traffic around and listened. The first thing to note is that whether CD or DVD, this album is magnificently recorded. Indeed, so well recorded that it somewhat paradoxically exposed a problem with the recording technique. The use of a stereo microphone for the band has produced, in both formats, an incredibly well delineated and detailed sound, with the backing vocalists on 'First Time Love', although standing close to each other a little left of centre, being clearly separated from each other. I can't emphasise enough the naturalism of this recording. Except ... the vocals were recorded with a separate microphone (allowing Mr Taylor's vocals to be more forward than the band) and are poured in apparently identical amounts into the left and right channels. Aside from the prominence of his voice over the band, this had an occasional odd result, due to the very magnificence of the band recording. On 'Hallelujah, I Love Her So', the brushes are tangible, almost to the point of each strand of the brush striking the drum being individually discernible. The only problem is that this is offset from centre by just a tiny distance to the left. In the meantime, Mr Taylor's voice is right at centre. The aural result is that the voice sounds as though it's coming from just a little above the line drawn between the speakers, while the brushes sound like they're coming from the front of the singer's chin. I suspect that Mr Taylor was not standing in front of the drum kit during the recording, so while the geometry of the sound delivery makes it sound as though he is, the absence of bodily muffling of the kit denies this. This leads me into DVD vs CD. I cannot confidently say that there are no differences in the sound delivery of the two media. But I can insist that anyone who uses language of the 'chalk and cheese' variety is fooling him or herself. The differences, if there are indeed any, are very subtle indeed. So before equivocating further, I'd better write what I felt I noticed. First, there were no marked differences in frequency balance. On 'Isn't She Lovely' there is a quietly played, somewhat distant and restrained tambourine. On the CD this sounded just a trifle sharper than the DVD, showing perhaps the tiniest little bit more emphasis on the upper harmonics. I switched back and forth throughout this section, and my conviction faded as I continued. Nevertheless, I think the result was that the DVD was a little more natural. Second, I listened closely to lateral stereo imaging and stage depth. I could detect no difference between the two for stage depth, but did occasionally sense that the stereo image was a little more tightly focused with the DVD than the CD. And there you have it. This was the extent of any variation between the two formats discernible by me with this music. In all other respects, I could pick no differences. So, for example, I paid particular attention to the air around instruments. Yet as far as I could tell, they were identical. My Ink CD cost me $30 from Rockian Trading, the Australian Chesky distributor. 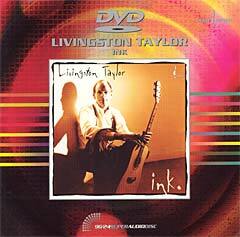 My Ink DVD cost $60 from the same source. Clearly the latter is not twice as good as the former. But it is slightly better ... I think! The audible differences really are so very subtle that I am by no means convinced that it was not my imagination conjuring them. There is, though, one clear advantage of the 96/24 recording process, whether finally delivered as 96/24 on DVD or as 44.1/16 on CD. That is to do with headroom. Live to tape recording is problematic. How much headroom do you allow? In a digital recording you dare not allow 0dB to be exceeded. Digital formats produce the hardest clipping known to humanity. The wave forms are chopped off at 0dB with a ruler flat line. But if you keep the modulation levels well down, you are not making full use of the 65,536 quantisation levels available with 16 bit recording. Remember, if your whole recording doesn't get above -6dB, you are effectively recording at 15 bits. So you want to turn up the level as much as you can, without clipping. But how do you get the level just right? You can set it during rehearsals, but when the band plays the track to be laid down, a moment of enthusiasm on its part can easily throw you into clipping. Or it may decide on a more restrained performance, and give you that 15 bit recording you were trying to avoid. Then, if the recording is a little low, should you 'normalise' it? -- digitally amplify it so that the average level is more or less the same as other CDs? If you do this, you increase quantisation noise along with the level of the music. If you don't, you end up with something like my Telarc CD of Vivaldi's The Four Seasons, extremely quiet throughout and incapable of delivering a high level from a portable CD player to headphones. Using 24 bits of resolution avoids these problems completely. You can allow plenty of headroom for momentary orchestral expressiveness, yet retain plenty of resolution. Remember, those extra eight bits give you an extra 48dB to play with! You can normalise the signal during the transfer to CD without any loss of CD resolution or increase in quantisation noise. But whether the extra cost over a CD for the at most subtle improvement provided by a 96/24 DVD is a matter for each listener to decide.